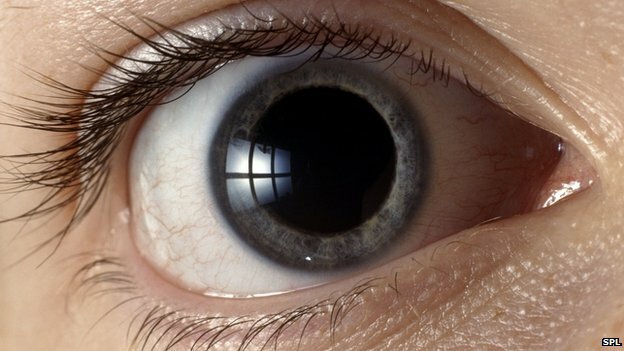 A drug can restore the ability of the eye to sense light after blindness, animal studies show. Reacting to light is the job of the rods and cones in the retina, but these can be destroyed by disease. A study, in the journal Neuron, showed a chemical could give “support-duty cells” in the eye the power to respond readily to light. Experts said it was a fascinating concept which might lead to treatments, but stressed more research was needed. The eye is built of layers including the rods and cones. Other layers keep the rods and cones alive, as well as passing on electrical signals produced by the light-sensing cells and passing these on to the brain. Researchers at the University of California, Berkeley, were focused on a type of nerve cell in the eye – retinal ganglion cells. They designed a chemical – called Denaq – which changes shape in response to light. The shape-shift alters the chemistry of the cell and results in electrical signals being sent to the brain. Tests showed that injecting Denaq into the eyes of blind mice restored a degree of vision. There were changes in behaviour, although it is not clear how well the mice could see. The effects wore off quickly, but mice could still detect light a week later. One of the researchers, Dr Richard Kramer, said: “Further testing on larger mammals is needed to assess the short and long-term safety of Denaq. “It will take several more years, but if safety can be established, these compounds might ultimately be useful for restoring light sensitivity to blind humans. It is hoped the drug could eventually help with diseases such as retinitis pigmentosa and age-related macular degeneration. The researchers envisage using electronic goggles to beam appropriate intensity light on to the retina to improve the efficiency. Prof Astrid Limb, from the Institute for Ophthalmology at University College London, told the BBC: “It’s a very interesting concept that you can stimulate the remaining cells. The findings add to a range of developments in restoring sight to the blind which also include transplanting stem cells into the back of the eye to restore vision and manipulating DNA to correct genetic defects. MS-UK celebrates World MS Day with release of new film about their work.